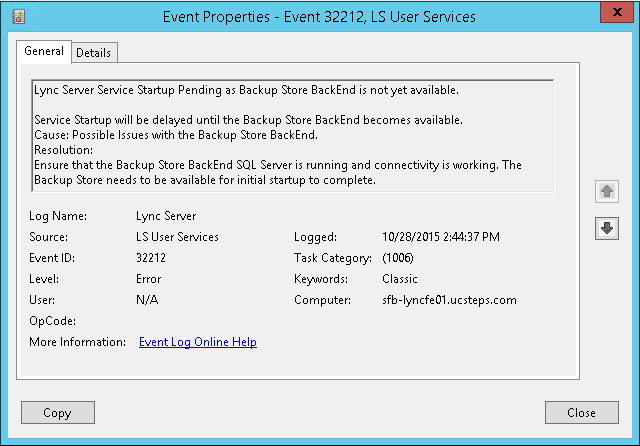 The event ID 32212 occurs when Lync Server can’t reach Back-End Server to create the database. I have checked in logs and realized the time-out when ran the step 2. 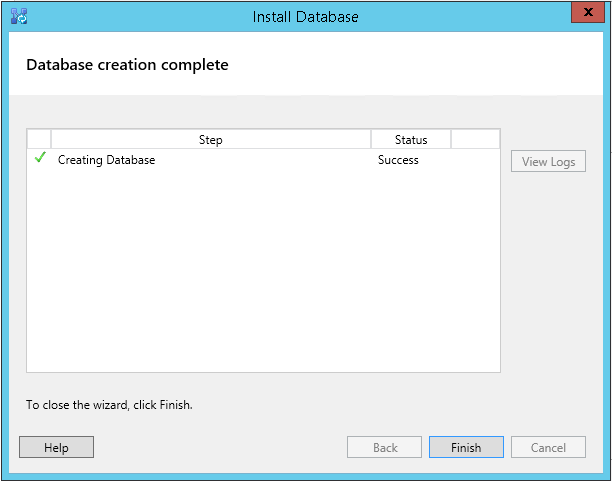 To solve this error, you need just execute Install Database. 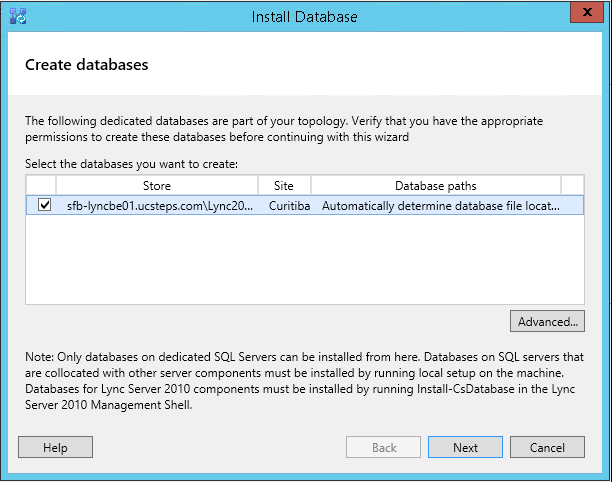 It can be run by Topology Builder or by PowerShell.